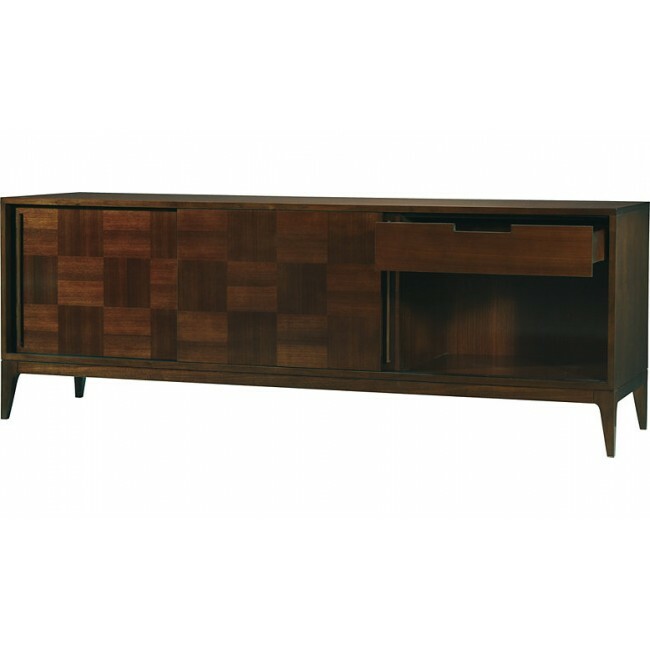 The perfect answer to your media needs. 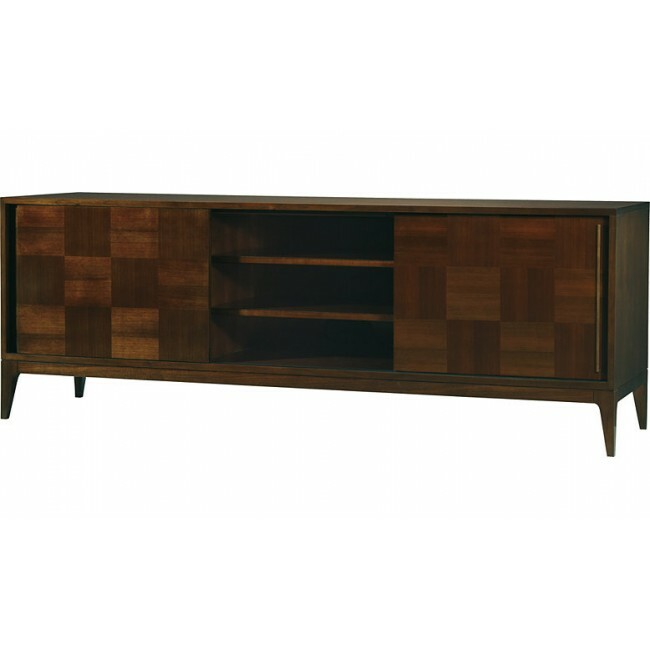 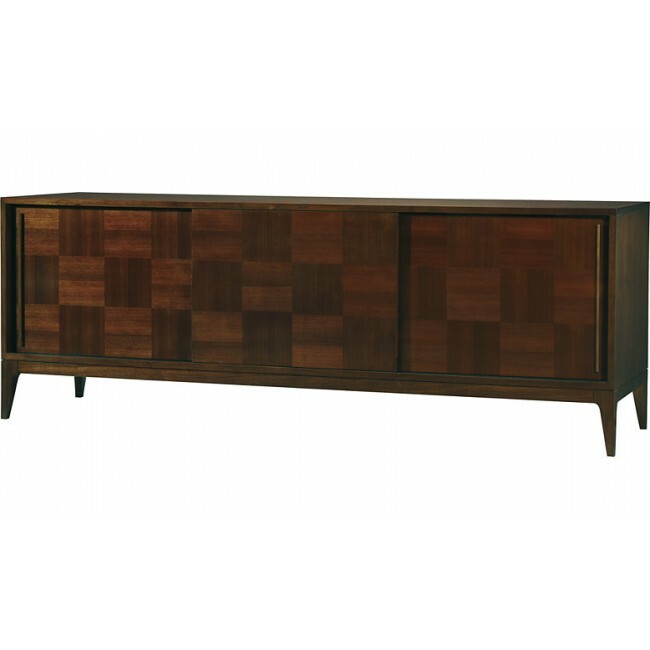 A sleek low casepiece in beautiful walnut provides generous storage within its modern low profile. Sliding door panels are detailed with a fine basket weave pattern and finished with slim vertical custom architectural bronze hardware.